If you are planning to take home loan then most important factor you consider is lowest interest rate for finalizing deal. 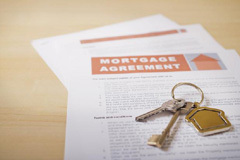 Most of the people overlook home loan agreement. Please understand that home loan is long term agreement and it is spread up to period of two decades. Therefore the borrower must read and understand all the clauses which are involved in the home loan agreement before signing it in order to avoid heart burns at a later stage. Home loan agreement is considered as absolute formality and one always sign this document by simply ignoring points that are mentioned in agreement. Most people feel that since the same agreement is applicable to all borrowers, the need for reading it carefully doesn’t arise. Another thought is who will read this 50 page long agreement before signing. Remember overlooking home loan agreement will cost you. Here are some of the important clauses that the loan applicant needs to study carefully before entering into the home loan agreement. Due to the trend of rising interest rates many people opt for the fixed rate home loan instead of floating rates or teaser rate variants. So if you are planning to take fix rate home loan you must check for rest clause. Banks have introduced the reset clause in their fixed home loan documents so that they can increase rates in case the market rates increases in the future date. So this is simply converting fixed rate loan to floating rate. This will protect bank against surge in interest rate rise but at the same time it is cheating to borrower. Typically, this rest period cause varies from bank to bank. So read this clause in your loan agreement carefully. There may be certain loopholes in your home loan agreement that allows the bank or home loan company to unfix and raise the fixed interest rate under exceptional circumstances. This all will be mentioned under the force majeure clause of your agreement. However the differentiation between the ‘exceptional circumstances’ is always is tough task. But if you scrutinize your agreement then there are chances that you avoid semi-fixed rate loans that are often announced as fixed rate loans. In case one of the borrowers dies or the co-borrowers are divorced. If any of the borrowers are involved in civil litigation or criminal proceedings against them. In case the borrowers fail to notify the lending institution about loss or change in profession well in advance. The term “well in advance” is quite ambiguous which the HFC may use to its advantage at a later stage. This clause states that a bank is eligible to demand additional security when property prices fall. Even if you are loyal on your EMI payments, this clause demands a security cover in addition to your loan amount and if a borrower fails to provide such a security then he/ she may be declared a defaulter by the lender. These clauses are overlooked by most home loan borrowers and some of them eventually end up paying interest rates, fees, or hidden charges completely out of the blue. A better understanding of all these clauses will go a long way in ensuring that the rights of the borrower is protected at all times during the tenure of the home loan.